Native Soldier has moved to the second line of Caulfield Guineas betting after trouncing his McNeil Stakes rivals in a win that surprised the colt’s trainer Darren Weir. 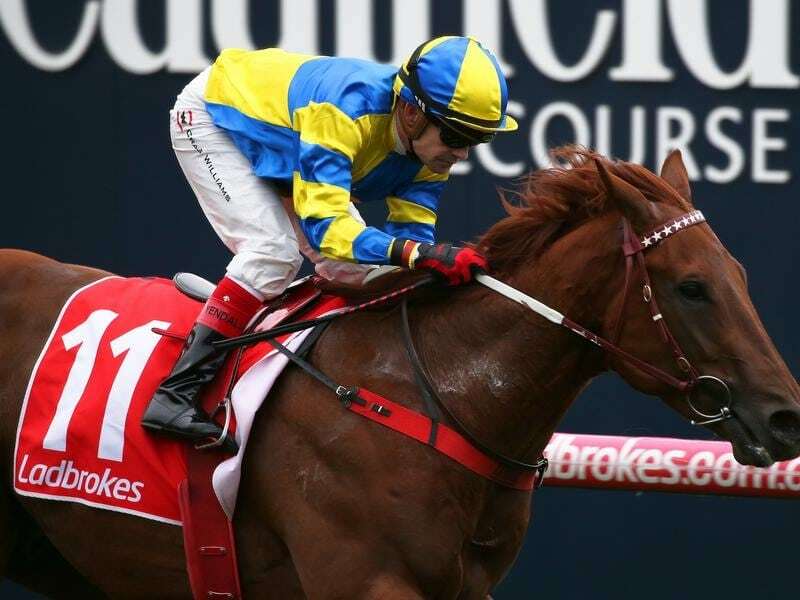 Weir rates Native Soldier highly but admitted he was not expecting the three-year-old to win Saturday’s Group Three McNeil (1200m) in the manner in which he did after finishing third in the Vain Stakes first-up. Native Soldier ($15), ridden by Dean Yendall, crossed from the outside barrier to lead before the colt kicked right away. He defeated The August by 2-3/4-lengths with Group One-winning filly Seabrook another length away third. “I didn’t see that coming,” Weir said. “I thought he’d made a bit of improvement from his first-up run but I didn’t think he’d made that much improvement. “Obviously he’s taken really good benefit from that run and he had a jump-out at Warrnambool last Friday. “He began terrific and when he got across he just controlled the race. The TAB reacted with Native Soldier firming to $11 for the $2 million Caulfield Guineas (1600m) next month behind $5 favourite Brutal.